Bill and Mary Lewis, authors of the historical travel guides Through the Heartland on U.S. 20, will discuss their travels and the places of significance off this scenic route through Massachusetts, part of a coast-to-coast journey on U.S. Route 20. The discussion will be followed by a book-signing and is free and open to the public. 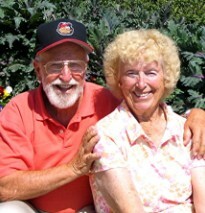 About the authors: Bill & Mary Lewis taught speech and communications in colleges and universities in southern California for over 70 years combined. They taught students to capture and retain their listeners’ attention by telling fascinating stories. In this volume they have attempted to relate fascinating stories that you, the reader, will enjoy. This is Bill and Mary’s website.